Special Assistant (Media ) to the Rivers State Governor. Simeon Nwakaudu said that The Rivers State Governor, Nyesom Ezenwo Wike has declared that the policeman who killed innocent citizen in Port Harcourt yesterday will be brought to justice. 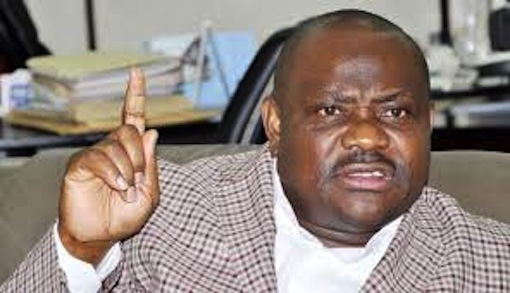 Addressing thousands of protesters at Mile 4 Market Junction on Saturday, Governor Wike said that the days of impunity are gone.He told the protesters to leave the roads and allow normalcy to return to the suburb, saying that the unarmed person who was killed will not die in vain. The governor was on scheduled inspection tour of projects when he ran into the protesters. “I have just placed a call to the Commissioner of Police and I am assuring you that the policeman who killed this unarmed citizen will face justice. The governor was accompanied by Senator Thompson Sekibo and his Chief of Staff, Mr Emeka Woke. He noted that as a governor he will continue to work towards the protection of all residents of the state. Governor Wike said that under his leadership law enforcement agents will not be allowed to terrorise innocent citizens.